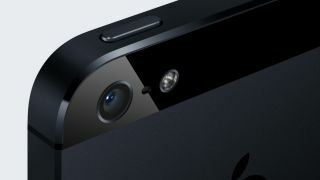 Apple will break from tradition by not releasing an official dock to accompany the new iPhone 5, according to the company's marketing chief. Phil Schiller, Apple's Senior Vice President of Marketing, revealed in an email reply to an inquisitive and expectant customer, that no plans were in place. "We do not plan on making a dock for the iPhone 5. Most people who use docks use them with speaker or clock systems," he wrote. Apple has released a dock for each of its iPhones to date. They can be used to charge the phone, sync with a computer or connect to an external speaker. Because Apple has now changed the connector size from 30-pin to Lightning, it means old docking stations will not work, unless an adaptor is purchased. Apple wants £25 ($29) for the 30-pin-to-Lightning adaptor, but only charged the same for the docking station itself. Hardly worth the investment. For those wondering how they could possibly survive without an official dock, we're sure the usual array of reliable third-party providers will jump on Apple's unwillingness to make one in due course. Interestingly, Schiller's email signature read "sent from my iPhone 5"
Guess he won't have to wait in line at the Apple Store on Friday, then?